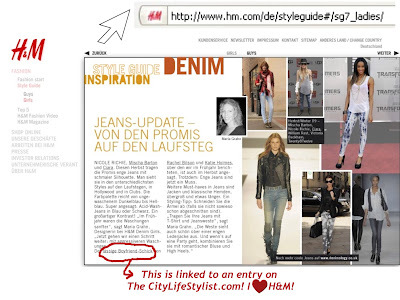 The CityLifeStylist: Spotted: The CityLifeStylist in the H&M Style Guide! 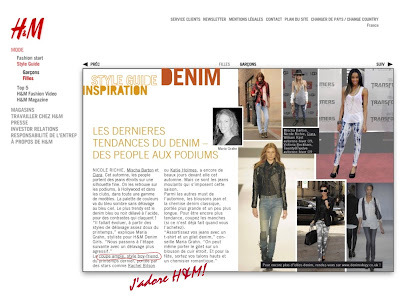 Spotted: The CityLifeStylist in the H&M Style Guide! I cannot believe my little happy place in cyberspace is in the H&M Style Guide! 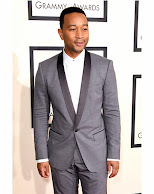 Big thanks to my dear reader Miss Y. for the tip! I'm so excited even if my blog wasn't actually mentioned, but if you click "loose-fit boyfriend model" on the article, you'll be directed to this entry on The CityLifeStylist about how to wear boyfriend jeans. I'm so thrilled. This made my week! WOW H&M! Congrats Therese! More power to your blog!